ESO Supernova Exhibition — How are rainbows and spectroscopy connected? How are rainbows and spectroscopy connected? 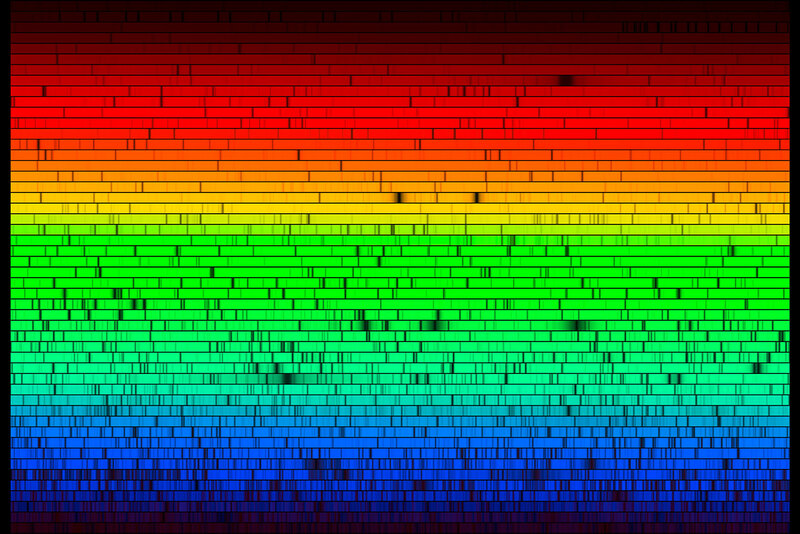 By splitting starlight into its constituent colours – a technique known as spectroscopy – astronomers can learn more about the objects they study. 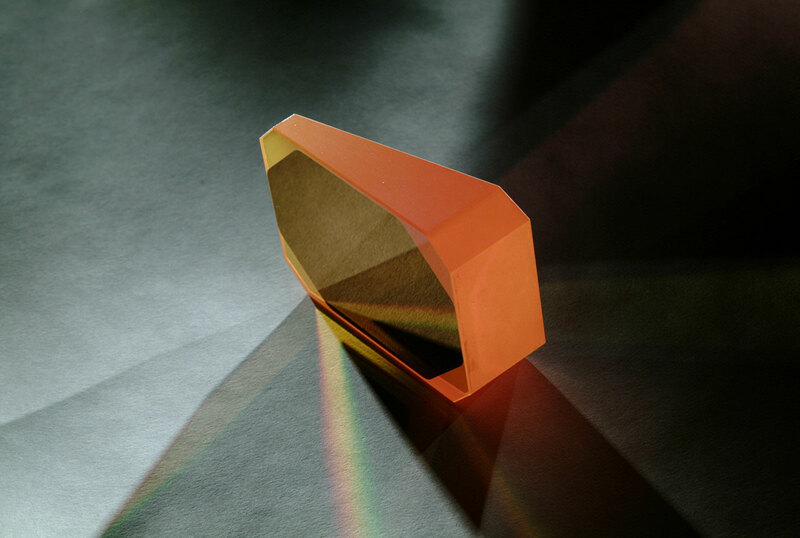 Artificial rainbow: Starlight is spread out into its constituent colours by this prism, which was part of the Very Large Telescope’s CRIRES spectrograph. 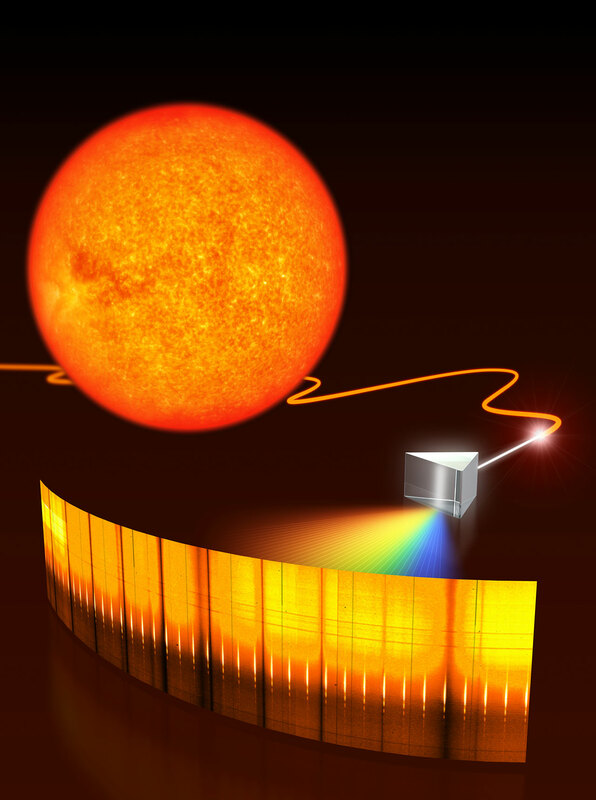 Fingerprinting the Sun: When viewed in detail, the spectrum of the Sun contains many dark absorption lines – signatures of the various gases in its atmosphere. 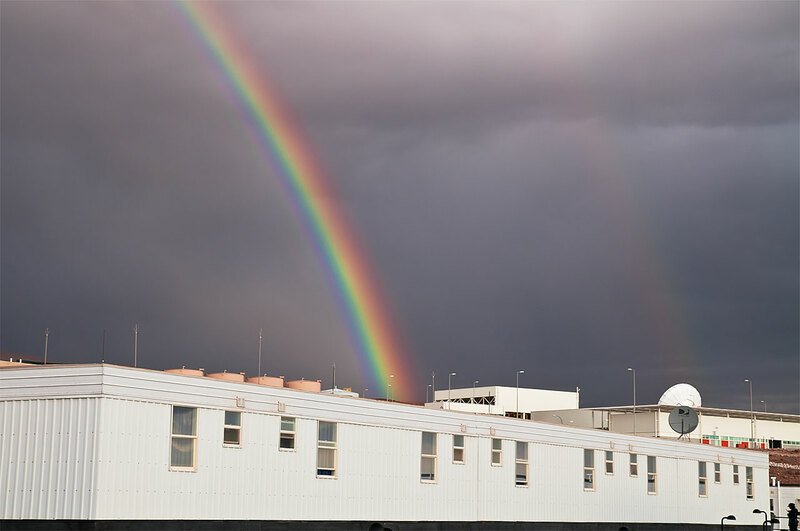 Nature’s spectrograph: White sunlight is spread out into the colours of the rainbow above ALMA’s Operations Support Facility. When the light of a star or galaxy is spread out into what is called a spectrum – comparable to a rainbow – certain colours appear to be missing. 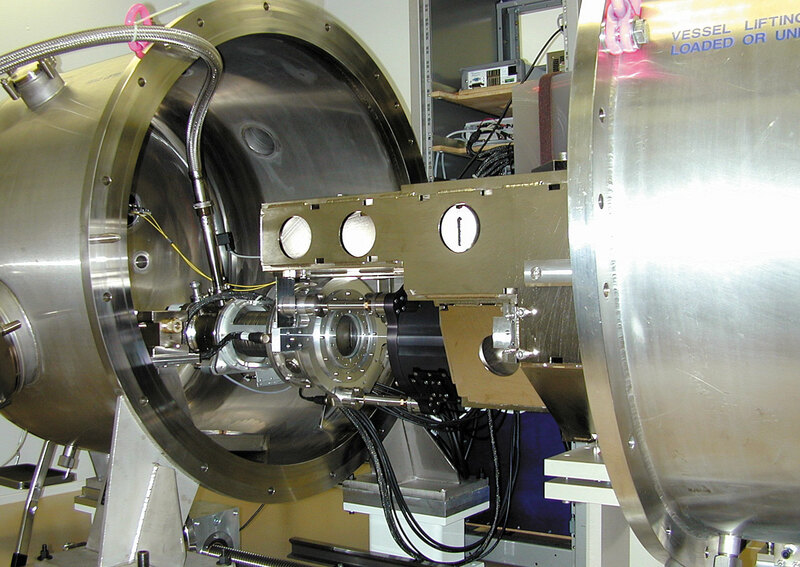 The strength, width and position, or wavelength, of each absorption line provide astronomers with valuable information about the motion and chemical composition, among other things, of the object under study. Thus, spectroscopy is a powerful astronomical tool. In 1995, spectroscopic observations even revealed the existence of the first exoplanet orbiting a Sun-like star. Planet hunting: Using the HARPS spectrograph (High Accuracy Radial velocity Planet Searcher), astronomers have discovered hundreds of exoplanets. 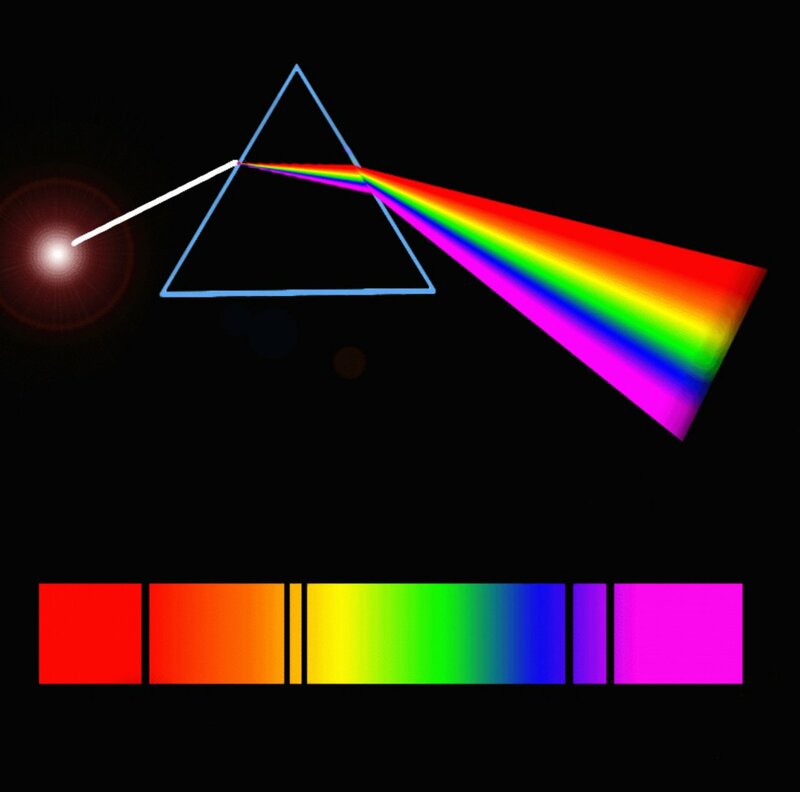 Prism rainbow: A prism creates a spectrum in which dark absorption lines indicate the presence of certain elements in the light source. Astronomers can spread the light of objects in the sky into a mini-rainbow. Its spectrum is like the object’s fingerprint – it contains a lot of useful information.